Great for sitting or leaning, the VARIDESK Stand2Learn Stool is the perfect companion to any of our Stand2Learn desks. Designed for students of any age, it can be adjusted from 19 to 33 inches high. With a light surface texture and smooth edges, the seat is safe and comfortable for all-day use. The non-marring, self-leveling feet are easy on floors and keep students steady at any height. 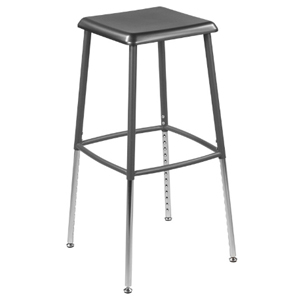 The sturdy steel frame is durable enough to handle daily classroom use for years to come.